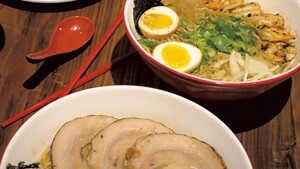 Bowls of tonkatsu broth with chashu pork, kikurage mushrooms and red pickled ginger; fish shoyu with shrimp and bamboo shoots; and black garlic miso ramen were all on the menu last Sunday when Gaku Ramen opened at 144 Church Street in Burlington. How did the new soup shop — with recipes crafted by a pair of ramen masters from Japan — land in the Green Mountains? 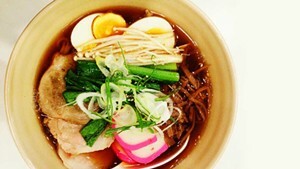 All three of Gaku's owners, two of whom reside in Asia, have ties to the area. Michael March is a Middlebury College grad, while Ryan Goldstein and David Stone (who lives in Vermont) went to nearby Dartmouth College. 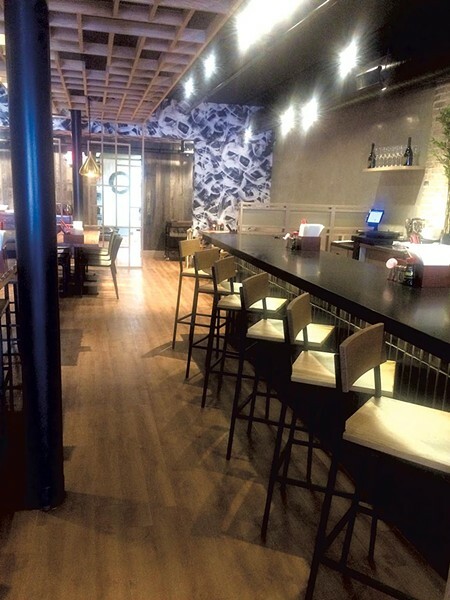 According to Stone, their goal is to bring "the most authentic" ramen to Burlington. That choice was motivated, he says, both by their love for the region and by the city's mix of college students and professionals — who, they suspect, will fall hard for their reasonably priced fare. Chef Chad Hanley, formerly of Stowe inn Edson Hill, is helming the kitchen. Well versed in the local food and farm scene, Hanley says he sources ingredients from Vermont producers when supply, cost and quality allow. Many of the vegetables come from Pete's Greens and Deep Root Organic Co-op. When Hanley can't obtain items locally, he says, he ethically sources them from sustainable farms. The beer list, like the menu, mingles offerings from Vermont and Japan. Kelley Jones, founding partner of Trust3 Hospitality, which operates the restaurant, points out that all of Gaku's take-out containers are biodegradable, except for those used to hold simmering broth. By Thursday, June 9, the restaurant will be open for lunch, dinner and takeout seven days a week. Outdoor seating will begin this weekend. The original print version of this article was headlined "Days of Broth"